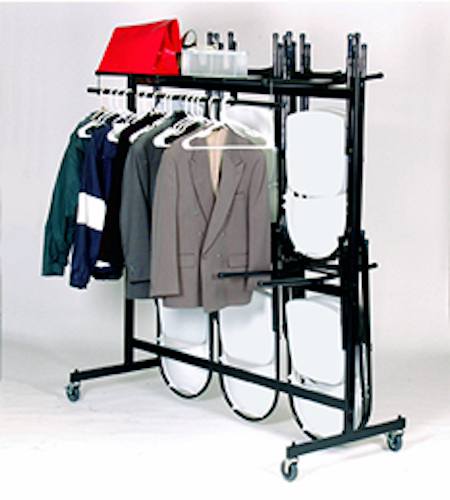 The C84-C from Correll comes with a kit that easily converts this Hanging Chair Truck into a coat rack as well. 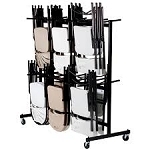 The folding chair truck holds up to 84 chairs and will hold your high-back chairs without dragging on the floor! 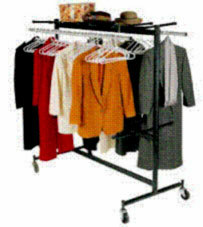 You can also make one side a coat rack and hang chairs on the other, or make both sides a coat rack! Very versatile! You can hang chairs on one side while the other side is a coat rack. 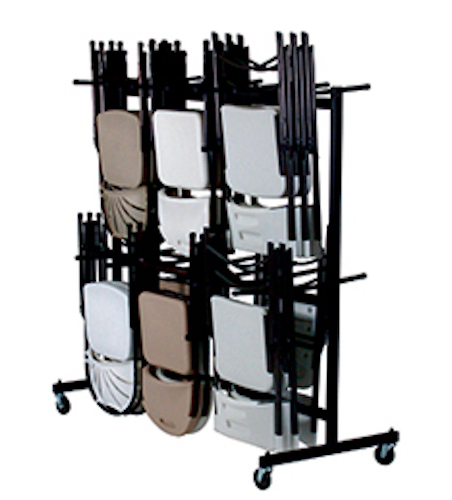 Competitive Edge Products, Inc. is an authorized retailer of Correll Chairs and Hanging Chair Trucks. Q: What are the dimensions of the width and depth? Only the height is indicated. Shipping on In Stock Items: Orders for the Correll C84-C generally leave the warehouse within 2-4 business days. Delivery Details: This product ships directly from the warehouse in Charleston, AR. This item generally ships via a curbside delivery through an LTL carrier (too big for UPS and FedEx). The customer must be present to sign for the order. The freight carrier is instructed to contact you prior to delivery to set up a delivery appointment. Local Pickup Option: This item may be available for local pickup in Charleston, AR. If you are interested in picking it up locally contact our customer service for a super cheap pickup quote at 866-308-5484. Dimensions: 72" x 68" x 31"